When he finally reaches his office the inspector learns about a strange abduction: a woman has been seized in a lonely street, drugged, and released unharmed a few hours later. The same thing happens a few days later; this time the woman abducted is the niece of Enzo, the owner of Montalbano’s favourite trattoria. The only link between the two abductions is the age of the two women, 30, and the fact that they both work in a bank. Alongside this investigation he has to deal with a case of arson: a shop that sells household appliances is burned down, and its owner, Marcello Di Carlo, seems to have vanished into thin air: has he run off with his lover after a holiday in the Canary Islands, disappeared to get away from his creditors, or been murdered by the mafia for not paying their protection money? At first sight this seems like a trivial case, but a third abduction – yet again of a girl who works in a bank – and the finding of a body open up new scenarios. Whose body is it? And where has Di Carlo’s secret lover gone? 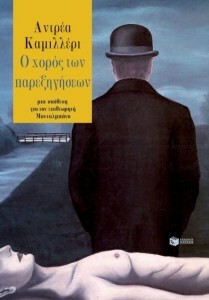 Although the inspector feels that he is getting old, by relying on his intuitions and his ability to think out of the box, he remains clear-sighted and, ignoring the obvious solution – never trust appearances – arrives at the truth, thanks to his inexorable logic, and above all to his ability, enhanced by those advancing years, to understand motives and feelings.